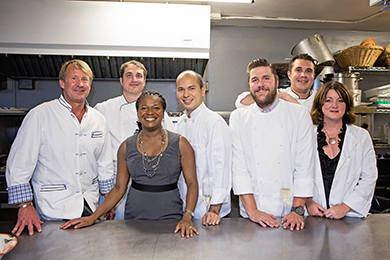 Mawa’s Kitchen offers Private Chef and Boutique Catering Services in Aspen and the surrounding areas. We are a full service caterer and cooking school with personalized and professional customer service featuring high quality food based on seasonal, local and organic ingredients. We believe that what we eat influences our health, well-being, and quality of life. With that in mind we offer a selection of the finest organic, locally sourced options for your Aspen catering needs. Whatever you need for your perfect event, Mawa’s Kitchen Aspen Catering and Cooking School can make it happen with sophistication and impeccable taste. Our personalized meal planning service offers an extensive menu of well balanced and wholesome meals all delivered right to your door. All meals on our monthly menu can be adapted to suit Vegan, Vegetarian, Gluten-Free, and Dairy Free diets. You can add on a variety of salads, soups, and even gluten-free baked goods to create a meal plan that best suits your dietary needs and busy lifestyle. Mawa’s Kitchen has a collection of chefs who specialize in various cuisines from around the world. Our Cooking School offers a variety of hands on, interactive private cooking classes from Baking 101 to our “Taste of Series” that allows you to travel the globe through international cuisine. Our hands on private cooking classes are a great way to connect with friends and family while learning how to prepare your favorite foods. In addition to our catering and cooking classes, we offer a private dining room that will hold up to 30 guests for any occasions, including birthdays, anniversaries, meetings, celebrations, cocktail parties, and bachelor and bachelorette parties. Mawa’s Kitchen and Cooking School offers an extensive wine list as well as wine, spirits, and cocktail classes.